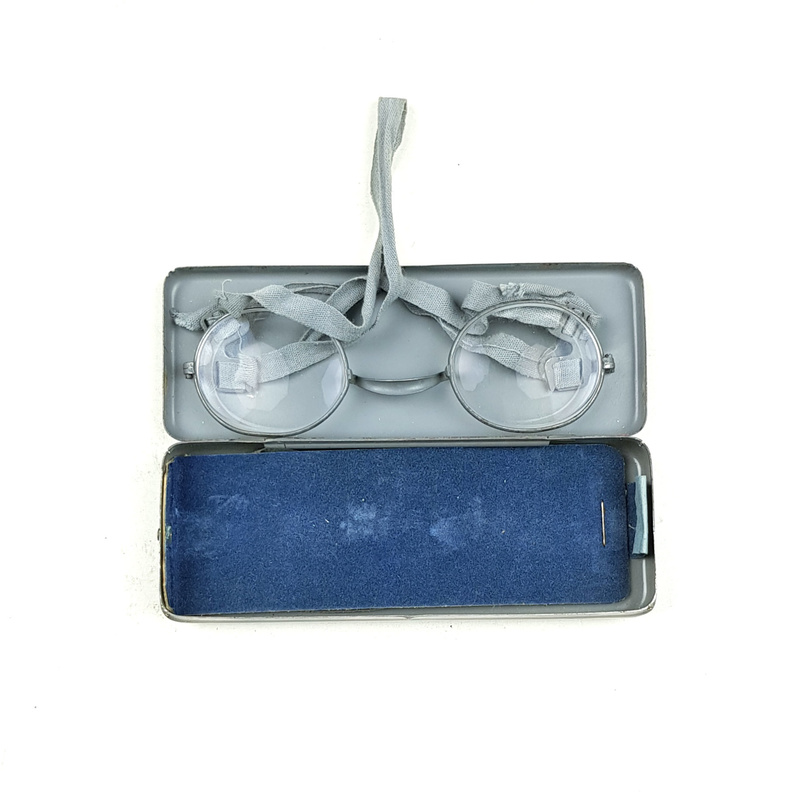 Home / WH Masken-Brille Container with Contents. Nice set of 'Masken-Brille. 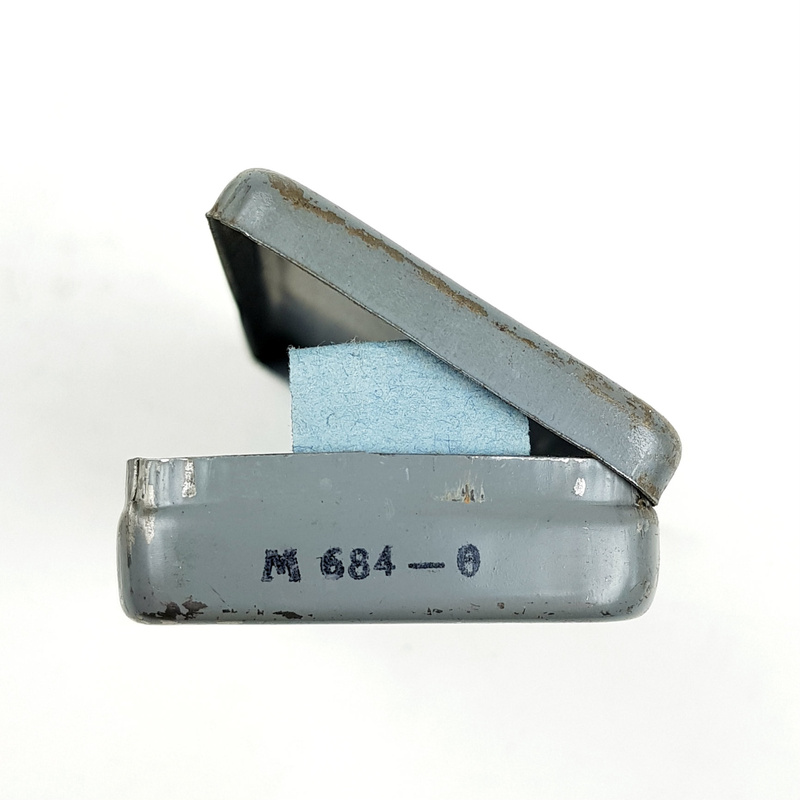 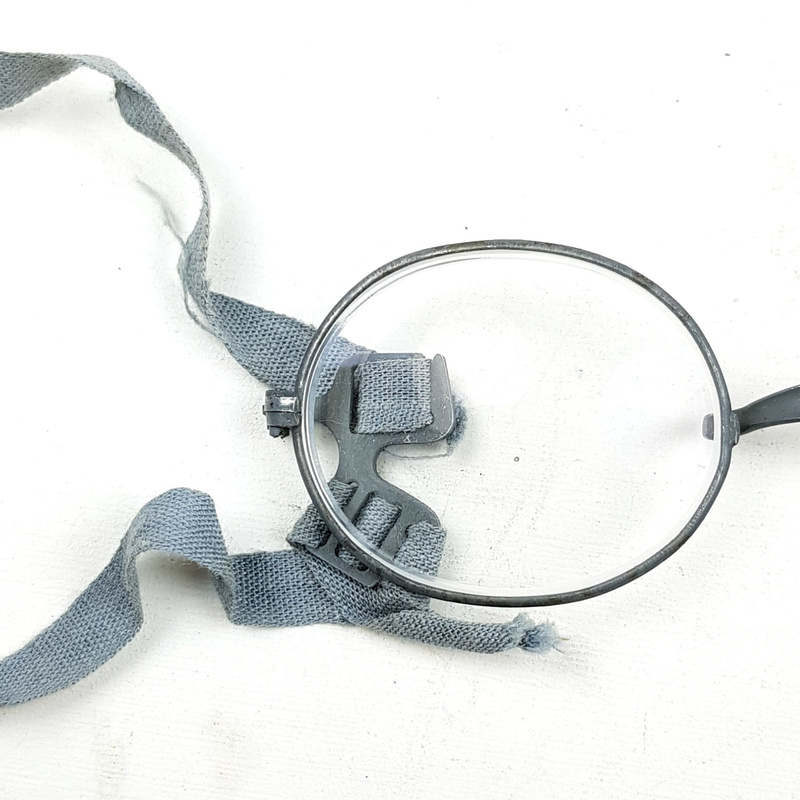 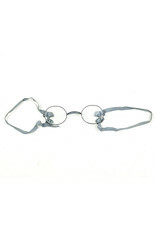 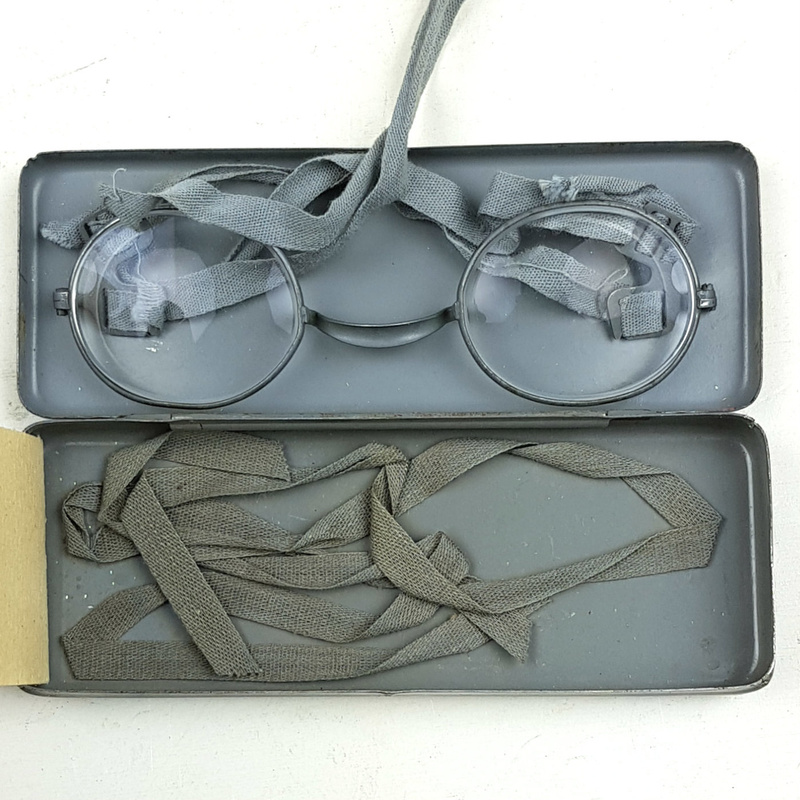 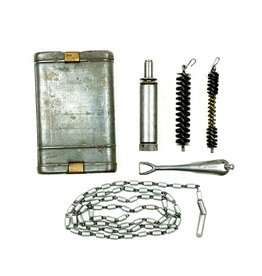 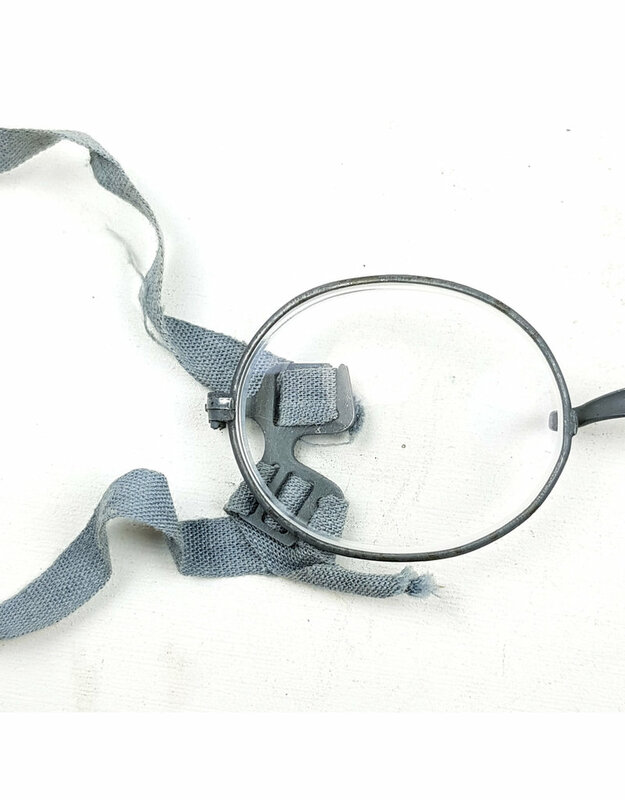 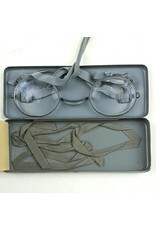 One of the gasmask accessories issued to all visually impaired personnel were special vision correcting glasses that were designed to fit beneath the gasmask when worn. 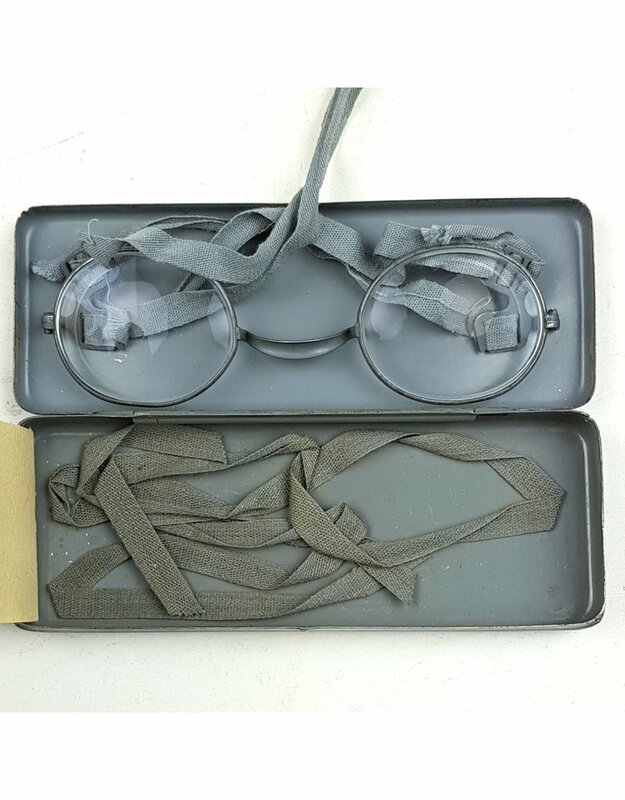 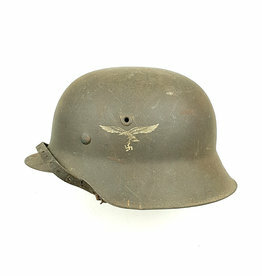 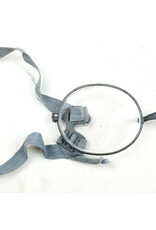 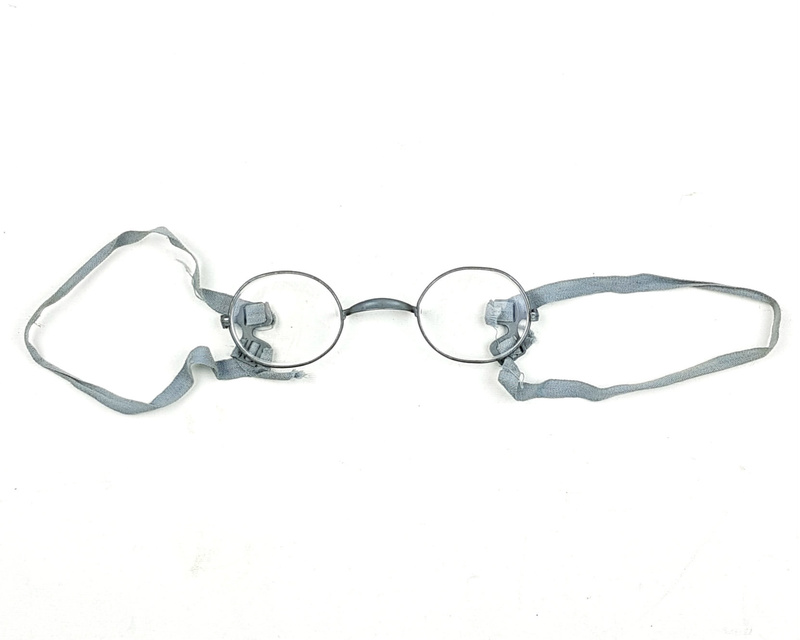 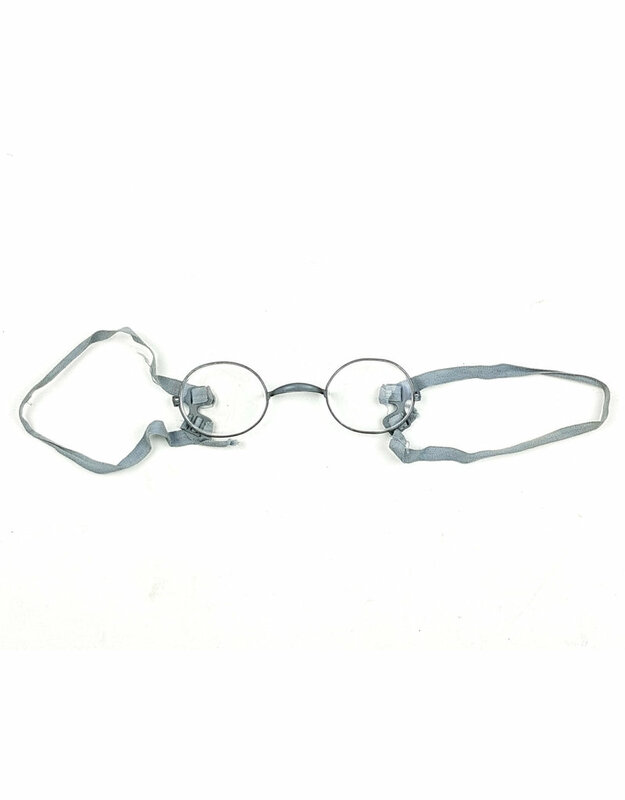 The gasmask glasses followed the same basic design as the standard issue corrective vision glasses but replaced the metal arms with fabric tapes enabling them to be worn under the gasmask when required. 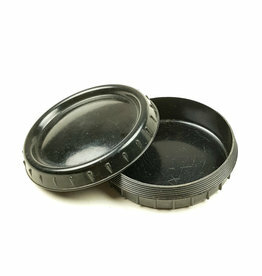 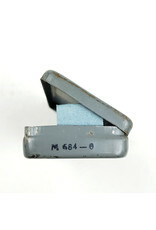 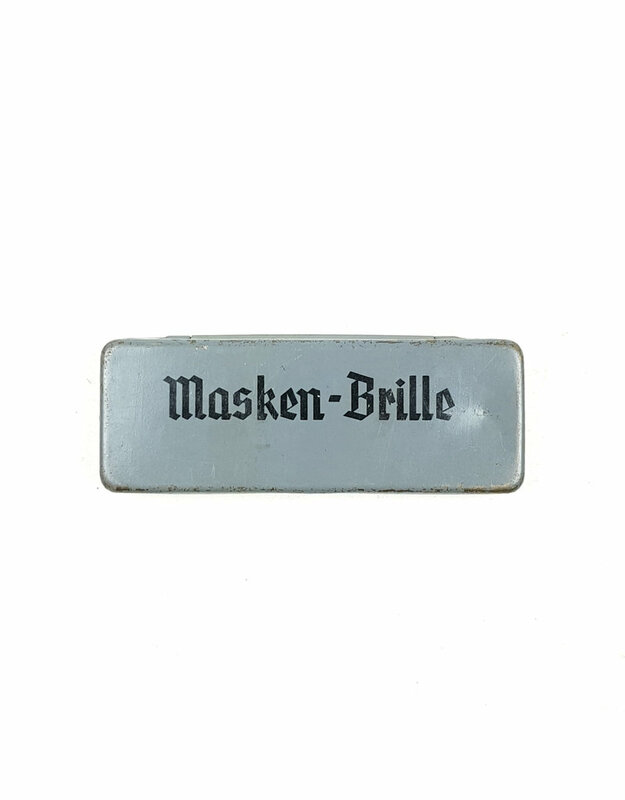 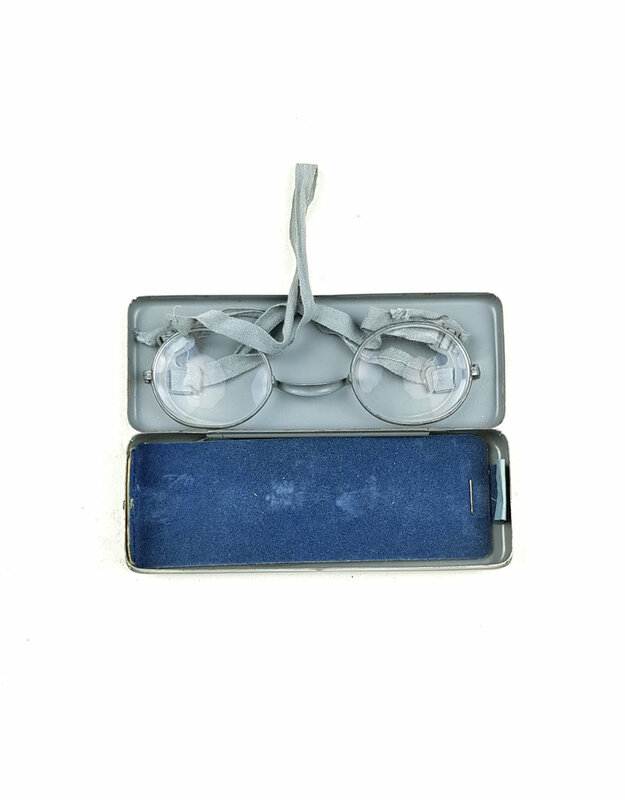 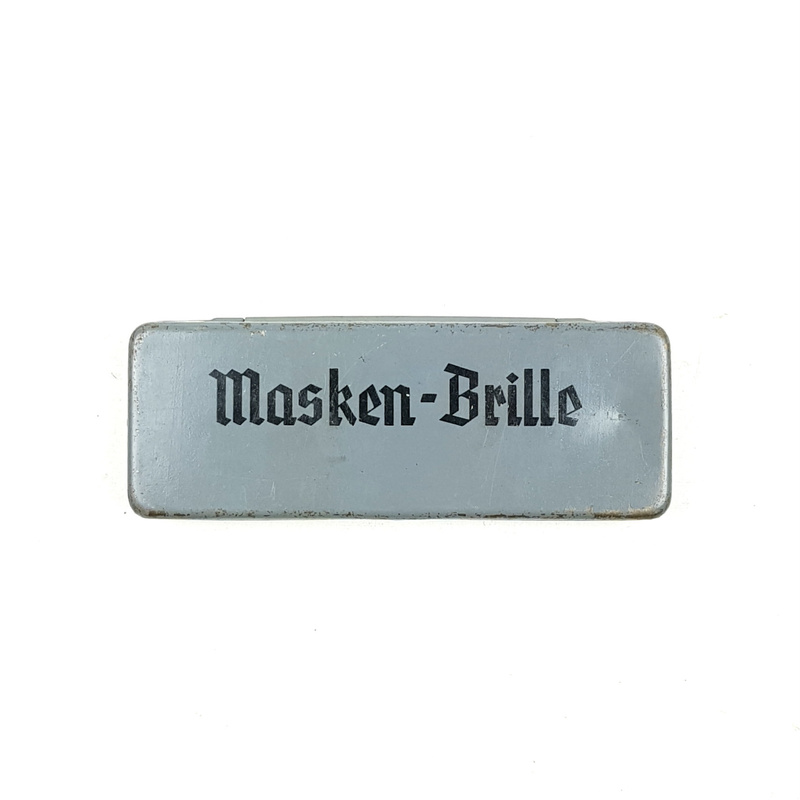 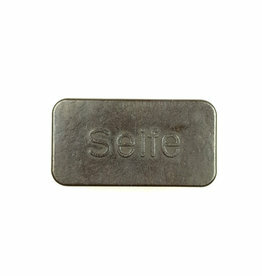 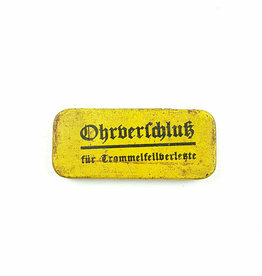 The glasses come housed in their original, 13cm x 3cm x 2cm, matte grey painted sheet metal case with black stenciled Gothic script to the top 'Masken-Brille' (Mask Glasses). 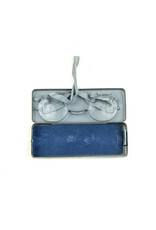 Nice pair.